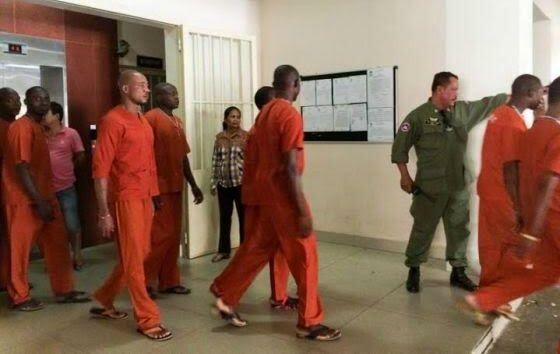 Nine Nigerian nationals, including their ringleader still at large, and a Cambodian woman were sentenced to five to eight years in prison and fined a total of 126 million riel ($30,663) for drug trafficking at Phnom Penh Municipal Court yesterday, September 12th. 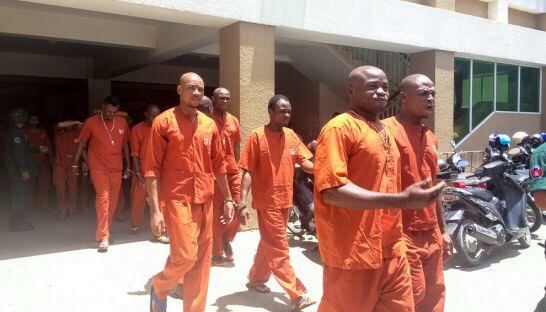 On the last day of the trial, it was revealed that only two out of the 15 samples collected tested positive for meth, with 4 and 5 percent purity, respectively. In the same hearing, Cambodian national Morm Vonyong, 25, admitted to delivering drugs to customers several times in exchange for $100. Her attorney, Lay Longdy, said he will be appealing the verdict.